This paper focuses on compliance error calibration. Because kinematic parameter error is the main error of a robot, we should first compensate for it. And because the compliance errors of some joints are too small, not all joints should be compensated for he compliance errors. We rotate the single joint along its axis locked other joints to obtain the statistical properties of all joints. The compliance errors are induced by gravity and elastostatic. 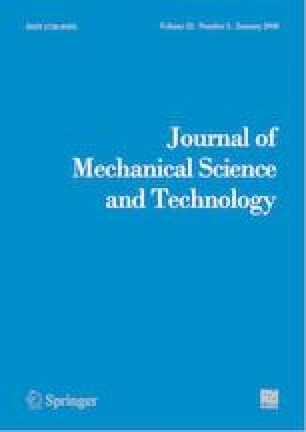 This paper presents a mapping from the compliance error onto the joint variable vector; on the other hand, it utilized a method to transform the robot compliance error from the laser tracker system frame to the robot frame. The main attention is paid to analyze each joint compliance error using a single axis rotating by laser tracking system. To compensate the compliance error, we divided this problem into three sequential subtasks: identifying the robot compliance matrix, computing the compliance error of gravity without external loading, compensating compliance errors of elastostatic error on external loading. Liang Du was a Ph.D. candidate in South China University of Technology when he attended this research. He is currently a Senior Engineer in Guangdong Testing Institute for Product Quality Supervision after he received his Ph.D.. His main research interests are robot calibration and control. Xiaoliang Dai was a Master degree candidate in South China University of Technology when he attended this research. His main research interest is robot calibration.